The Gold Rush started at Sutter's Mill, near Coloma. On January 24, 1848 James W. Marshall, a foreman working for Sacramento pioneer John Sutter, found pieces of shiny metal in the tailrace of a lumber mill Marshall was building for Sutter, along the American River. Marshall quietly brought what he found to Sutter, and the two of them privately tested the findings. The tests showed Marshall's particles to be gold. Sutter was dismayed by this, and wanted to keep the news quiet because he feared what would happen to his plans for an agricultural empire if there were a mass search for gold.  However, rumors soon started to spread and were confirmed in March 1848 by San Francisco newspaper publisher and merchant Samuel Brannan. The most famous quote of the California Gold Rush was by Brannan; after he had hurriedly set up a store to sell gold prospecting supplies, Brannan strode through the streets of San Francisco, holding aloft a vial of gold, shouting "Gold! Gold! Gold from the American River!" With the news of gold, many families trying their luck at agriculture in California decided to go for the gold, becoming some of California’s first miners. At the time gold was discovered, California was part of the Mexican territory of Alta California, which was ceded to the U.S. after the end of the Mexican-American War with the signing of the Treaty of Guadalupe Hidalgo on February 2, 1848. On August 19, 1848, the New York Herald was the first major newspaper on the East Coast to report the discovery of gold. On December 5, 1848, President James Polk confirmed the discovery of gold in an address to Congress. Soon, waves of immigrants from around the world, later called the "forty-niners," invaded the Gold Country of California or "Mother Lode." As Sutter had feared, he was ruined; his workers left in search of gold, and squatters took over his land and stole his crops and cattle. 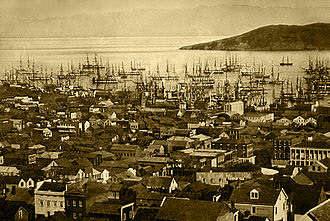 San Francisco had been a tiny settlement before the rush began. When residents learned about the discovery, it at first became a ghost town of abandoned ships and businesses whose owners joined the Gold Rush, but then boomed as merchants and new people arrived. The population of San Francisco exploded from perhaps 1,000 in 1848 to 25,000 full-time residents by 1850. As with many boomtowns, the sudden influx of people strained the infrastructure of San Francisco and other towns near the goldfields. People lived in tents, wood shanties, or deck cabins removed from abandoned ships. Wherever gold was discovered, hundreds of miners would collaborate to put up a camp and stake their claims. With names like Rough and Ready and Hangtown, each camp often had its own saloon and gambling house. In what has been referred to as the "first world-class gold rush,” there was no easy way to get to California; forty-niners faced hardship and often death on the way. At first, most Argonauts, as they were also known, traveled by sea. From the East Coast, a sailing voyage around the tip of South America would take five to eight months, and cover some 18,000 nautical miles. An alternative was to sail to the Atlantic side of the Isthmus of Panama, to take canoes and mules for a week through the jungle, and then o n the Pacific side, to wait for a ship sailing for San Francisco. There was also a route across Mexico starting at Veracruz. 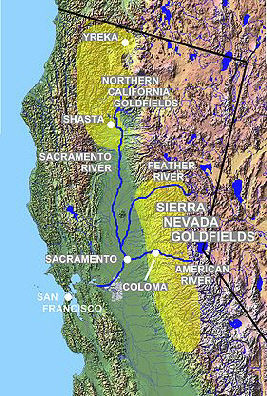 Many gold-seekers took the overland route across the continental United States, particularly along the California Trail. Each of these routes had its own deadly hazards, from shipwreck to typhoid fever and cholera. To meet the demands of the arrivals, ships bearing goods from around the world came to San Francisco as well. Ships' captains found that their crews deserted to go to the gold fields. The wharves and docks of San Francisco became a forest of masts, as hundreds of ships were abandoned. Enterprising San Franciscans turned the abandoned ships into warehouses, stores, taverns, hotels, and one into a jail. Many of these ships were later destroyed and used for landfill to create more buildable land in the boomtown. Within a few years, there was an important but lesser-known surge of prospectors into far Northern California, specifically into present-day Siskiyou, Shasta and Trinity Counties. Discovery of gold nuggets at the site of present-day Yreka in 1851 brought thousands of gold-seekers up the Siskiyou Trail and throughout California's northern counties. Settlements of the Gold Rush era, such as Portuguese Flat on the Sacramento River, sprang into existence and then faded. The Gold Rush town of Weaverville on the Trinity River today retains the oldest continuously used Taoist temple in California, a legacy of Chinese miners who came. While there are not many Gold Rush era ghost towns still in existence, the well-preserved remains of the once-bustling town of Shasta is a California State Historic Park in Northern California. The California Gold Rush (1848–1855) began on January 24, 1848, when gold was discovered byJames W. Marshall (one of the lucky men who survived the journey) at Sutter's Mill, in Coloma, California. News of the discovery brought some 300,000 people rushing to California from the rest of the United States and abroad. Of the 300,000, approximately 150,000 arrived by sea while the others traveled overland. The early gold-seekers, called "Forty-niners" (as a reference to 1849) traveled to California by sailing boat and in covered wagons across the continent, often facing substantial hardships on the trip. While most of the newly arrived were Americans, the Gold Rush attracted tens of thousands from Latin America, Europe, Australia, and China. 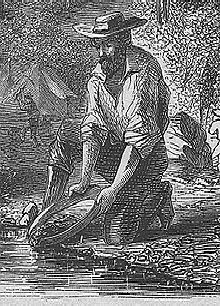 At first, the prospectors retrieved the gold from streams and riverbeds using simple techniques, such as panning. 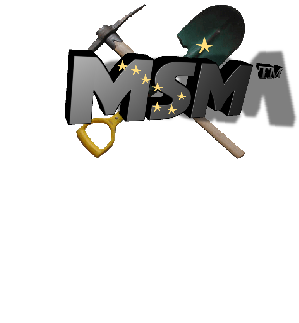 More sophisticated methods of gold recovery developed which were later adopted around the world. At its peak, technological advances reached a point where significant financing was required, increasing the proportion of corporate to individual miners. Gold worth billions of today's dollars was recovered, which led to great wealth for some.